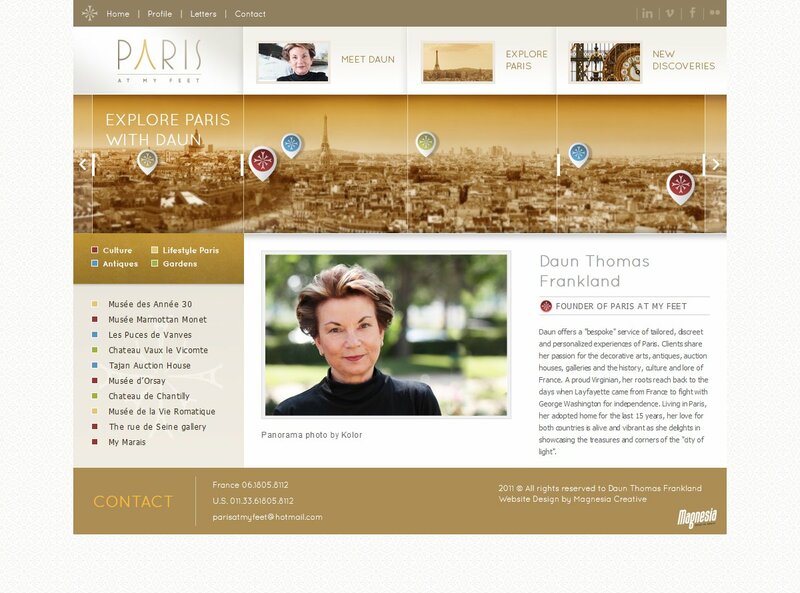 Take a stroll through cultural Paris via this beautiful and interactive webpage. Follow Daun Thomas Frankland as she takes you through the historical landmarks of this remarkable city. Explore the landmarks by scrolling through the canvas of the city and clicking on the pins. Through this journey you will learn more about the nooks and crannies of the city and get an in-depth experience of the lifestyle in Paris. See the art and antiques of the French culture and how Daun came to bring this collective experience to you.